Electrical Issues Disrupting Your Business? Request Service or Schedule an Inspection Today! In our business, professionalism means everything. That's why you should rely on a company whose key personnel represent a combined 75 years of experience. Transformer Inspection Retrofill Corp. has worked with major public utilities around the country - from Maine to Puerto Rico - to solve electrical problems in a fast, professional, and cost-efficient manner. We've also been called upon by people in the private sector for everything ranging from annual maintenance to responding to a total catastrophic electrical failure. Regardless of the task, we approach every job the same way: thoughtfully and professionally. It's true of electrical equipment, just as it's true of everything in life... little problems left unattended become big problems. That's why so many of our customers call upon Transformer Inspection Retrofill Corp. to annually inspect their equipment. Such inspections, if done every year on a timely basis, give us benchmark readings with which to compare at each visit. 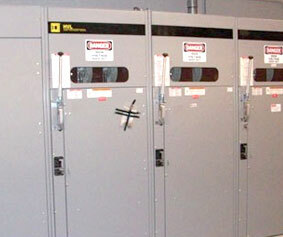 Many of our tests can be performed on-site with absolutely no interruption to your operations. Other tests are performed in our state-of-the-art lab. These inspections represent very little in terms of cost to you now, compared to the tremendous costs associated with lost productivity and capital expenditure if and when your transformer fails later. Don’t wait until your equipment fails! Schedule an inspection today! 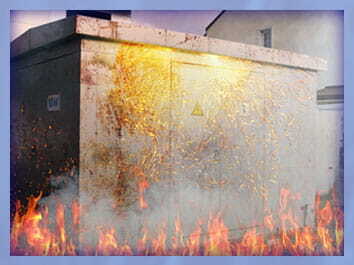 Is Your Transformer an Accident Waiting to Happen?